The Hudson Players Club is the oldest English theatre group in Quebec and has branched out to include an annual Shakespeare production. The club presents one major additional production per year and organizes play readings, Greenwood theatre-on-the-lawn events and other activities with a theatrical theme throughout the year. It is run by volunteers and anyone may join. The Hudson Players Club is presenting Shakespeare’s As You Like It at the Jack Layton Park amphitheatre from Juy 17th to July 27th. Dubbed “Shakespeare by the Lake,” the shows replace the previously paid for by the Town “Shakespeare in the Park” productions held for many years at Thompson Park. Last year’s Much Ado About Nothing was scheduled for the same time as the Street Fair and Hudson Music Festival but the competing events interfered with each other. The production was successful enough so that this year the event has its own slot. 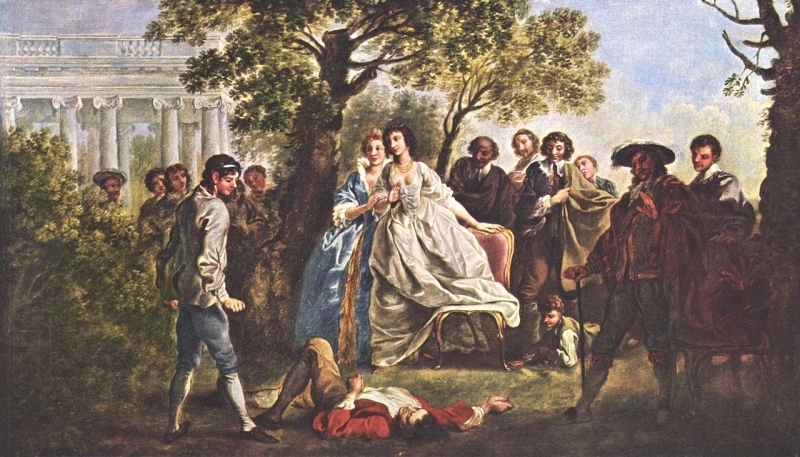 Many of the play’s scenes take place outside, in a forest, and a large cast takes part in a complicated plot of mistaken identity, cross-dressing and competing claims to thrones, lovers and inheritances. Directed by Andrew Cuk from John Abbott’s theatre faculty, who is familiar to Hudson audiences from his role in Village Theatre’s hit Ten Dance Lessons in Ten Weeks, the cast of Players Club members is rounded out with John Abbott theatre students. Amanda MacDonald, seen recently in the Players Club production of Alice in Wonderland, plays the enchanting lady Rosalind as well as the equally attractive boy Ganymede, when Rosalind dresses up as a boy for safety in the forest. You may also see a local MP giving a speech, although it is one of Shakespeare’s better known ones rather than his own. When all is revealed in the climactic final scene, not everyone gets what they wanted, or is it just what they thought they would like? The play seems ideally suited for fun on a warm summers night of outdoor theatre.